Everyone enjoyed last week’s Open Mic with Jen and Ray so much, those same hosts decided they wanna do it again this week! 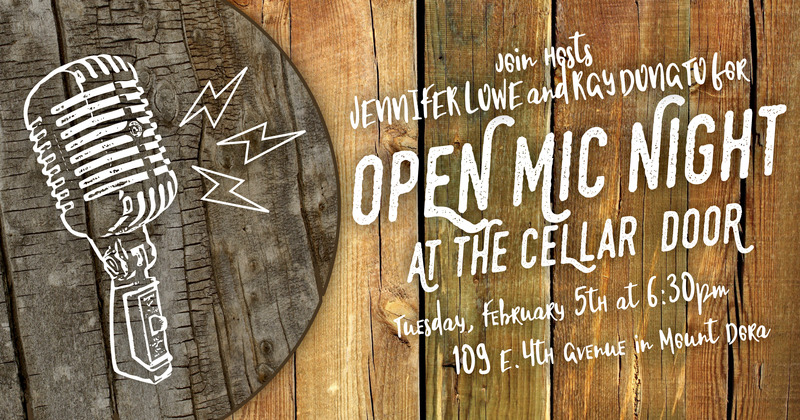 So join Jen and Ray one more time and bring your talent, whatever it may be (as long as it fits on our little stage). Although it’s not originals only this week, original songs are always welcome at The Cellar Door!